Hounds for Heroes provide specially trained assistance dogs to injured and disabled men and women of both the UK Armed Forces and Emergency Services. 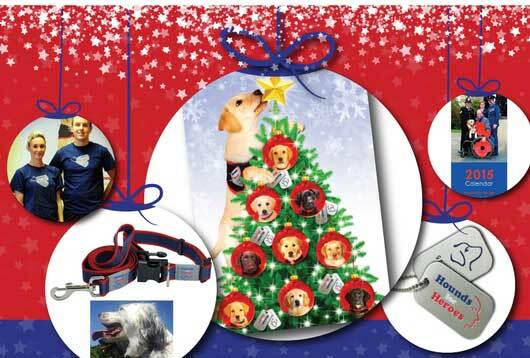 By purchasing from their shop you help them train more assistance dogs giving those they help more independence and a better quality of life. With Christmas fast approaching treat your pet, family or friends to a gift from their shop, or send your loved ones beautiful charity Christmas Cards.They have a variety of products for you, from stocking fillers to gift sets. Next	Massive Clearance Sale 2015!